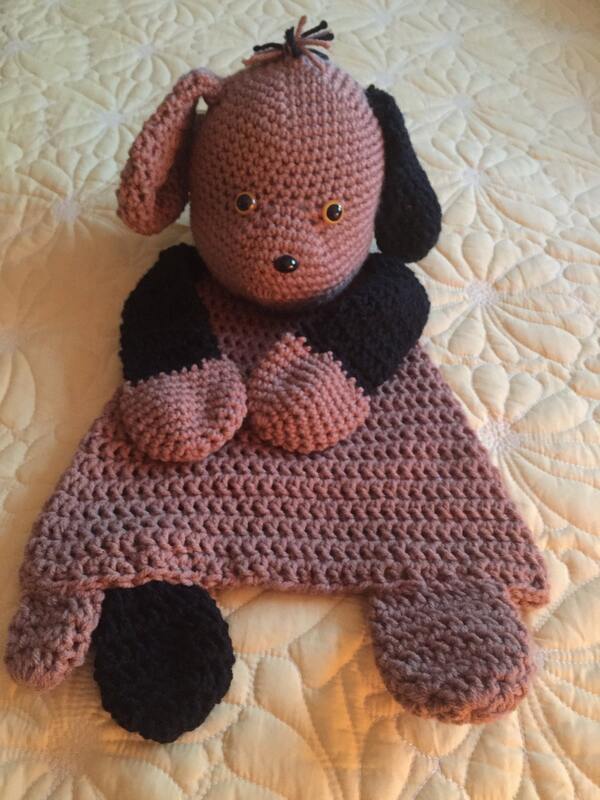 This brown and black hand-crocheted rag doll puppy dog is meant to be a little friend for your little one. The only part that is stuffed is the head. 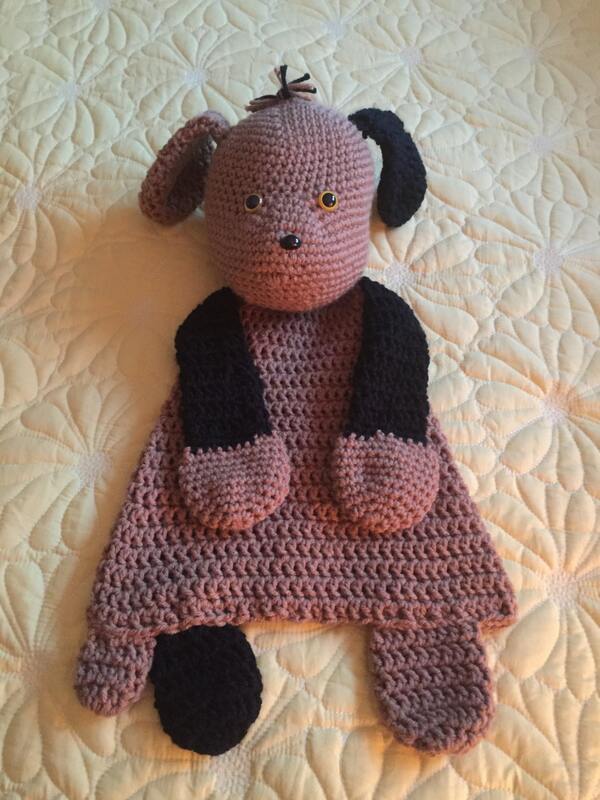 The rest is crocheted "flat and floppy" so your baby, toddler or child can carry, play or sleep with it easily. The eyes are gold and black safety eyes which are attached from the inside with nuts that prevent the eyes from being removed. The eyes are plastic as is the black nose also with a nut inside. 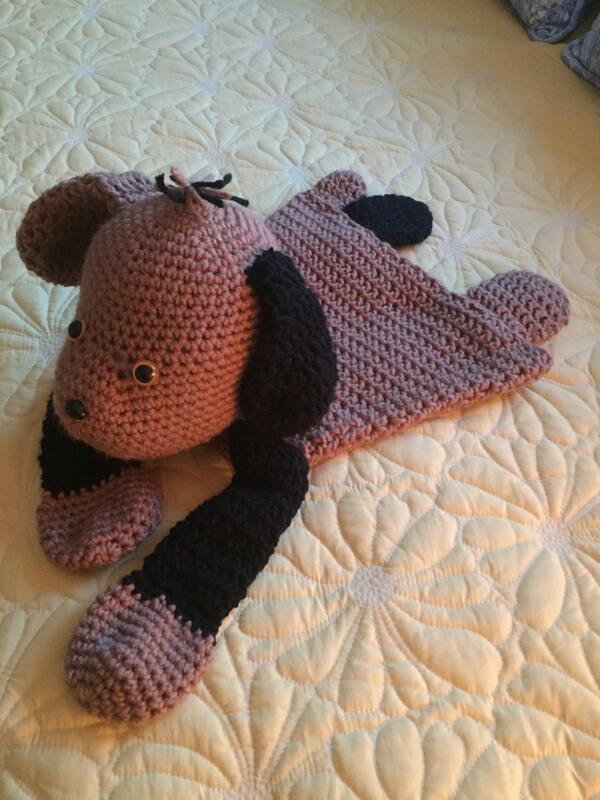 The dog is stuffed with polyester fill. 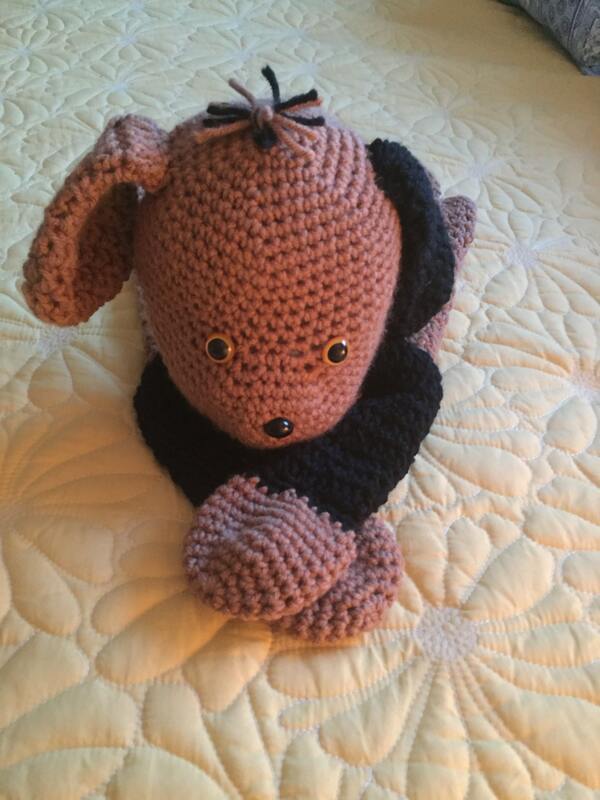 The yarn used is soft 100% worsted. The total size of the dog is 18 inches long and 11 inches wide at the bottom of the body. Feel free on convo me if you have any other questions.